You might be wondering why the new food plate could influence finding afforable health insurance in Santa Monica. In the United States we are dealing with an epedemic childhood obesity. One of every three Americans is obese. Obesity leads to chronic illnesses such as diabetic, high blood pressure, coronary heart disease, osteoperosis and even some cancer. Chronic Illesses causing major medical cost increases. And medical cost increases are going hand in hand with health insurance increases. The new food plate , introduced by First Lady Michelle Obama gets an easy message across to all American families. Half the plate should be filled with fruit and vegetables . The other half with grains and proteins. This is an easy to understand picture. Everyone can understand it, when your plate is filled with half of fruit and vegetable, than it is much harder to eat excessive. Furthermore instead of having a section of meat and beans, the food plate says simply “protein”, indicating that there are other sources of protein besides meat. 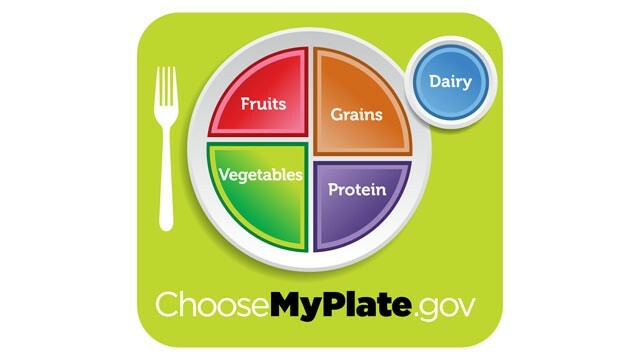 The new food plate reflects the 2010 Dietary Guidelines for Americans, which promotes measures such as using water instead of soda and avoiding oversize portion. The new food plate is a significant, easy to understand nutrition advise, which will help to control obesity. This a great way to start to control our medical cost, which go hand in hand with health insurance premium. Once we can get a hold of obesity, our medical cost will decrease and it will be easier to find affordable health insurance in Santa Monica and in the rest of the U.S.A.